The flare and appeal of the rigid silhouette of this update to the classic tuxedo design. 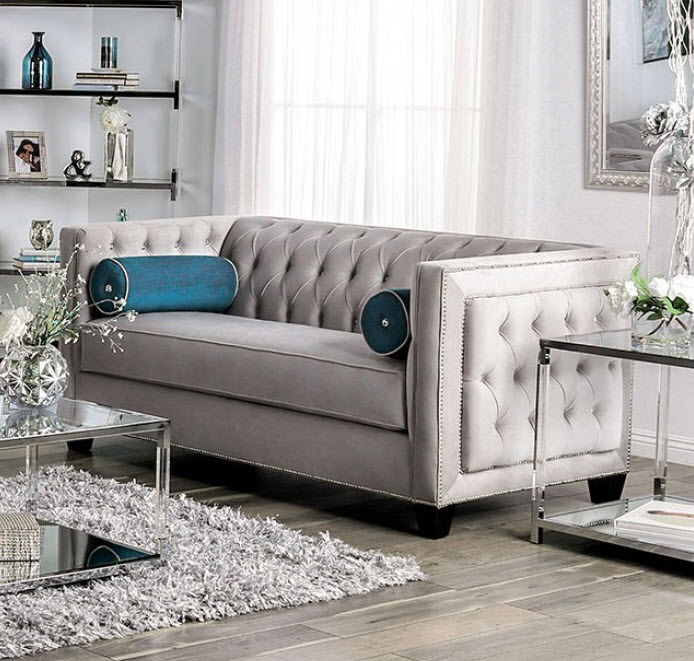 The fabric upholstery is a beautiful accent to the straight arms while lavish button tufting creates a dramatic staging for the seat cushions. Its simple shape and straight lines are combined with round lumbar pillows to give some visual depth to the ensemble and comfort to the box shapes. Please note that the base price only includes (1) Sofa. Please add the additional loveseat to customize this set to your liking.